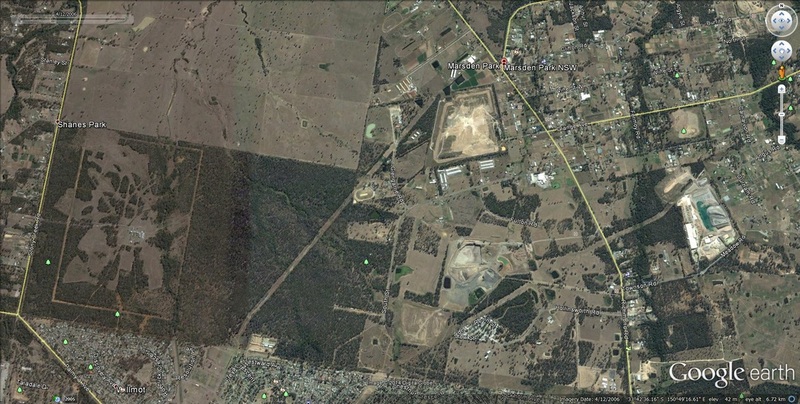 The Airstrip was built in 1942 by the armed forces as a relief landing ground for the Richmond RAAF base, The runway was 5'000 feet long and 150 feet wide with large clearings on each side After the second world war the airstrip was abandoned. 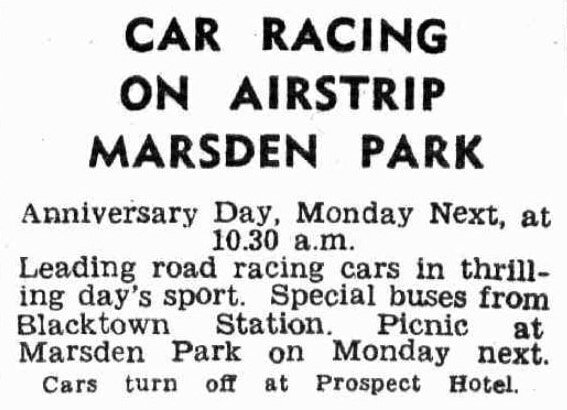 Motor racing commenced in 1946 at the disused strip only for a short time, Only 2 meetings have ever been recorded at the venue, the first in 1946 and the final in 1947. The exzact location of the airstrip is a mystery, There are many suggestions floating around, during World War 2 many of the surrounding areas also had airstrip, It has been suggested that the Marsden Park Airstrip was acually in Berkshire Park, an adjoining suburb.